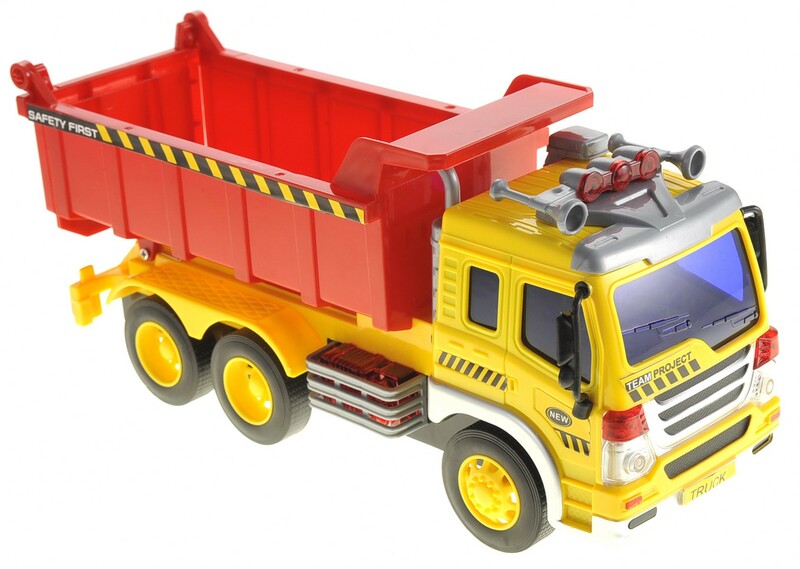 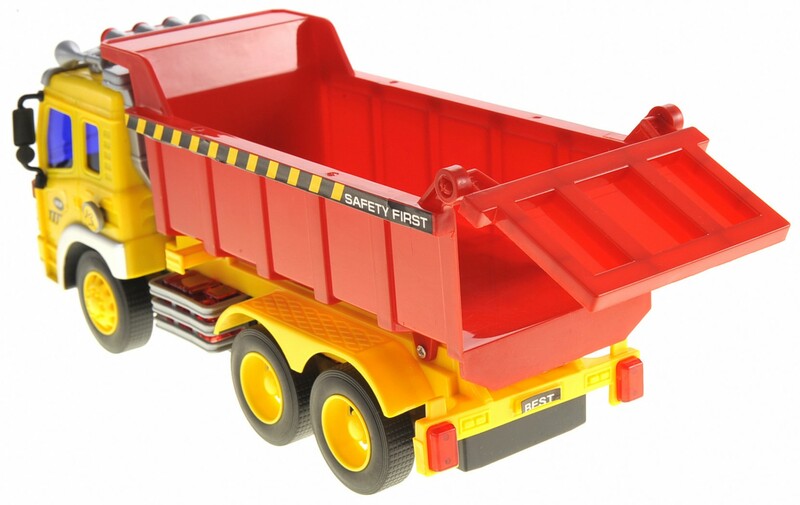 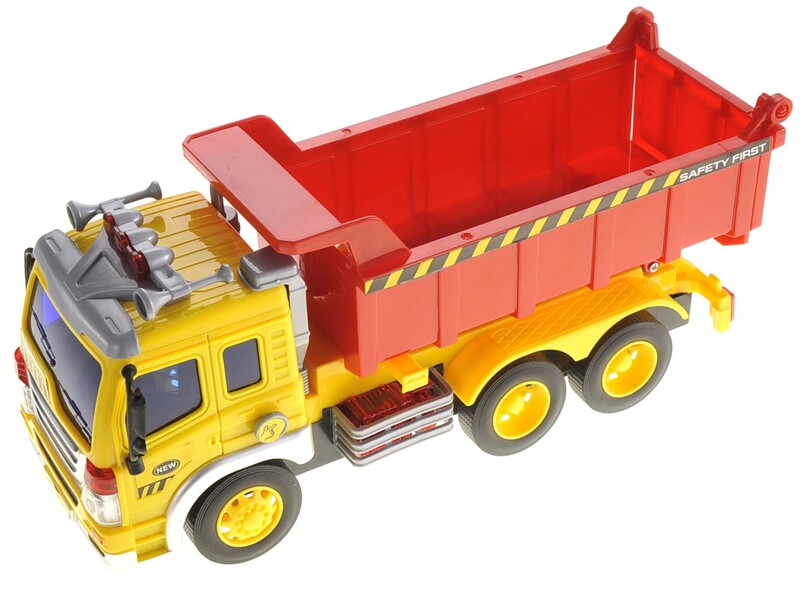 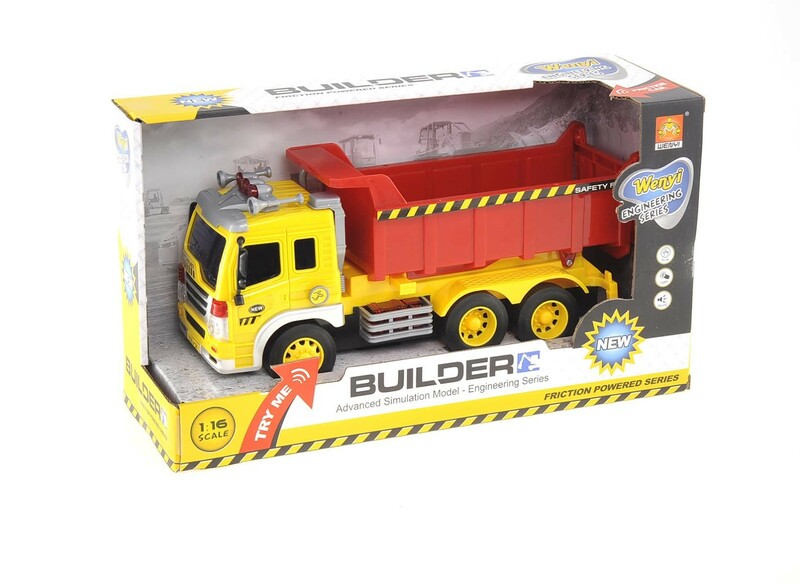 Master Box Dimension : 19" X 13" X 25"
The Powered Dump Truck fully resembles the real life dump truck truck and even comes with lights and sound built in. 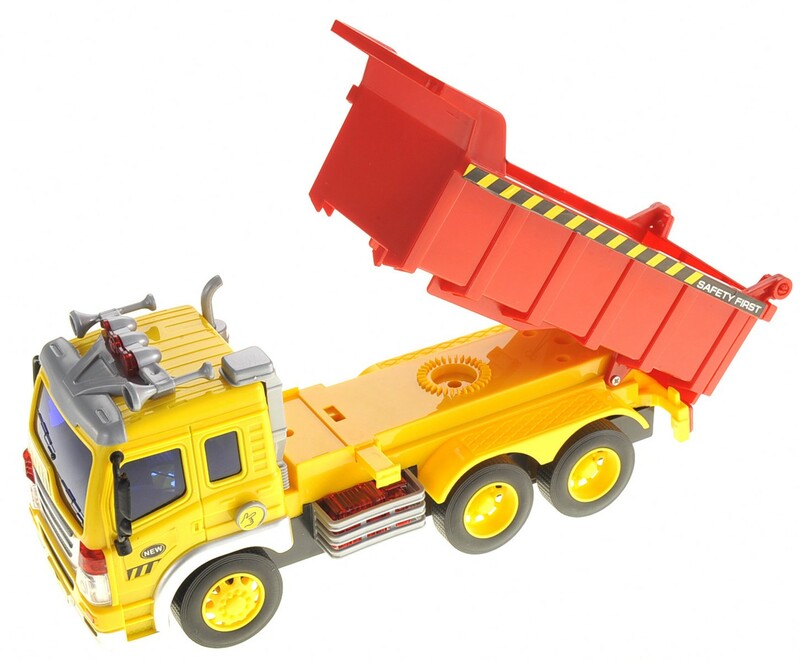 Press the button on the side of the truck and watch the back of the truck lift up to dump the items stored inside of it. 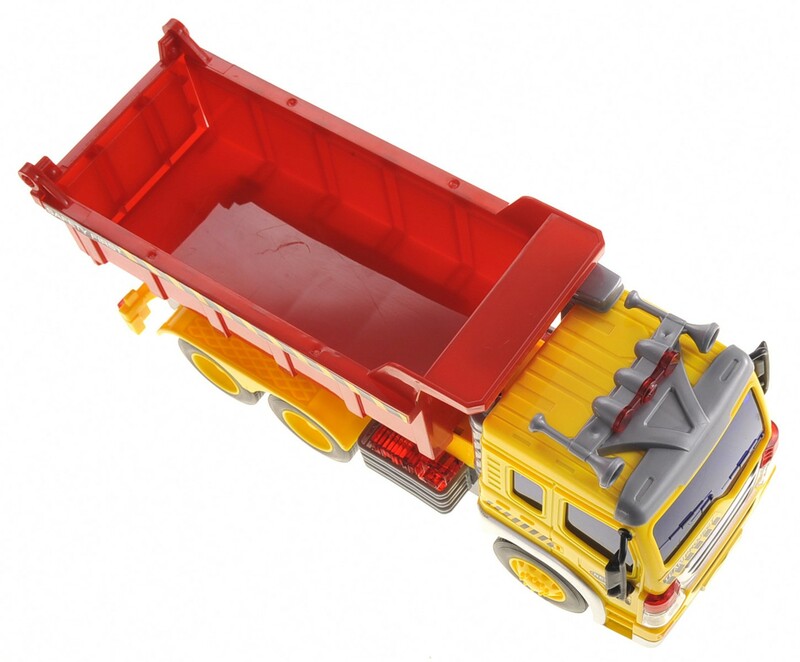 Kids can put small items in the back of the truck and watch it get dumped outside. 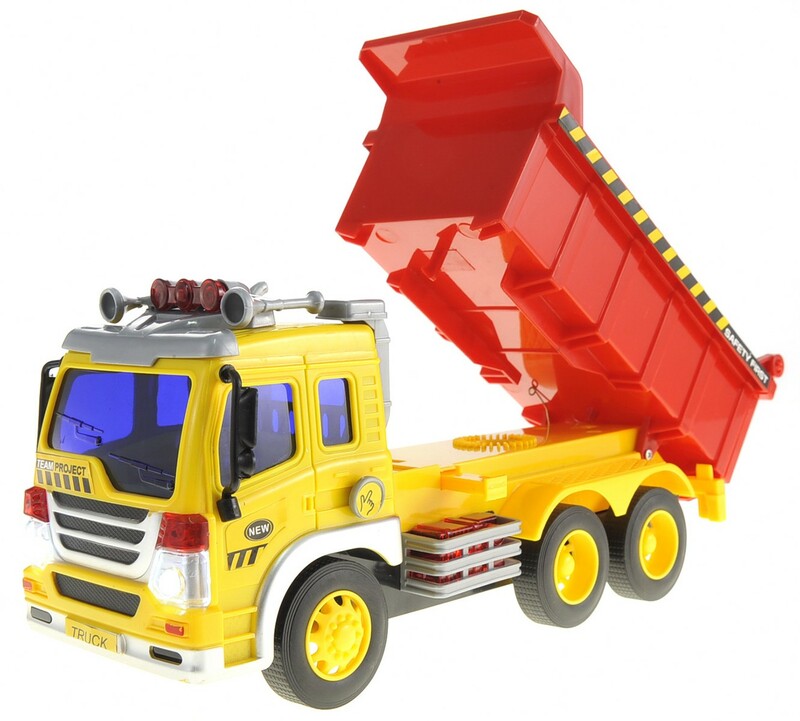 Dump truck runs on fiction energy, just simply pull back the wheels on the floor and watch the truck zoom pass right by you.